In the ground-breaking era of aviation, a small number of men, both rich and brave enough to take to the air, set out. Although the names Lindbergh, Byrd, Wright, Lear and Hughes made their place in history assured, largely forgotten is the tale of another ace aviator who took to the skies and beat the “flyboys” at their own game. 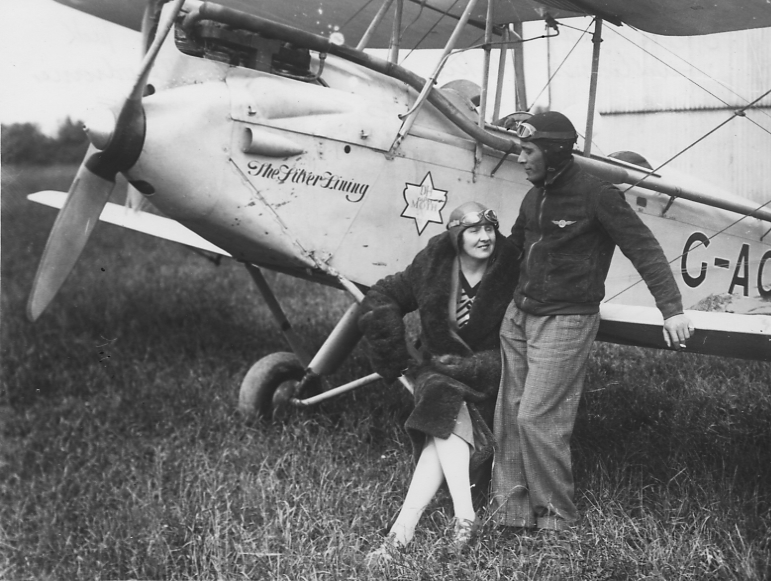 Sophia Theresa Catherine Mary Pierce-Evans was the unlikely birth name of one of the world’s pioneering women in aviation. Although she used many of her names she was mostly known as Mary. She was born on the 10th of November 1896, in Knockaderry House, near Newcastle West, County Limerick. Under the name Lady Heath she became one of the best known women in the world in the mid-1920s. From the very beginning her story was filled with twists in intrigue. Mary was born into an infamous family, her father, John Pierce, a farmer and photographer, amended his name to include Evans after inheriting a property at Knockaderry from his maternal uncle, Thomas Evans. Evans was from a wealthy family, his father was a prestigious doctor both locally and nationally. As a result, local gossips rumoured about his marriage to a servant, Kate Theresa Dooling. Their brief marriage was turbulent, with both serving time for assault and on one occasion Evans taking the infant Mary to Cork hidden in a bag. He was soon apprehended by police and returned to Limerick. A few short months later the couple shocked the community when it was discovered that Evans had bludgeoned Dooling to death. Admitting his guilt due to insanity Evans was imprisoned in Dundrum Mental Asylum for the Criminally Insane in Dublin and Mary was left parent less. Mary was taken into the care of her elderly paternal grandparents, Dr. George and Henrietta Pierce in Newcastlewest. She was partly raised by two unmarried aunts, Anna and her namesake, Sophia. By 1916, her father and both her grandparents had passed away, severing her direct ties to Limerick. Mary attended Rochelle Boarding School in Cork, a training school for governesses, Princess Garden Belfast and St Margaret’s Hall on Mespil Road in Dublin. She enrolled in the Royal College of Science in Ireland and earned a top-class degree in science, specialising in agriculture. In 1916, she married Captain William Davies Eliott Lynn, who was twice her age, at Rathmines Parish Church, Dublin. During the First World War Mary worked as a dispatch rider for the War Office relaying messages across England and France. Following this she found time to indulge her passion for athletics, which had formed during her time in college and went on to become Britain’s first women’s javelin champion, and also set a world record for the high jump. She was one of the founding members of the Women’s Amateur Athletic Association, who at the International Olympic Council in 1925, raised the question of allowing women to compete in the Olympic Games in a wider range of sports. In the 1900 Games in Paris, out of a total of 997 athletes, 22 women competed in five sports: tennis, sailing, croquet, equestrianism and golf. In 1991 it was finally ruled that all new Olympic sports must have a female counterpart. In the late 1920s Mary went through three husbands in as many years. 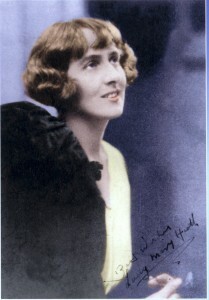 It was through her second marriage to 72 year old Sir James Heath in October 1927 that she would gain the name Lady Heath. Her first husband had drown in the Thames earlier that same year. The name Lady Heath became synonymous with flight as she became the first woman in Britain to not only hold a commercial flying license but the first woman to parachute from an aeroplane. She also set records for altitude in a small plane and later a Shorts seaplane. She hit the headlines in 1928 as the first pilot, male or female, to fly a small open-cockpit aircraft from Cape Town to London, a journey of over 7,000 miles. In August 1929, her aviation career effectively ended after a crash in Cleveland, Ohio, while testing a plane during the National Air Races. The following year she was both divorced from Heath and married to former Trinidadian jockey and pilot, Gar Williams. This sparked a new controversy for the Limerick woman as a mixed raced marriage would have been seen as highly unusual, especially after the couple’s return to Ireland two years later. Mary and Williams attempted a number of pilot programs in Ireland with little success and Mary returned to London once more. On the 9 May 1939. Mary was sitting on the top deck of a double-decker tram when she lost consciousness and fell down the stairs, hitting her head on the driver’s controller box. It was later discovered that she had the sign of a blood clot that was attributed to her sudden death. She was only 42 years old. Mary’s remains were cremated and on 15 May 1939 her ashes were scattered over Surrey from an aircraft flown by her husband. Many thanks to Lindie Naughton author of Lady Icarus for helping source the images.